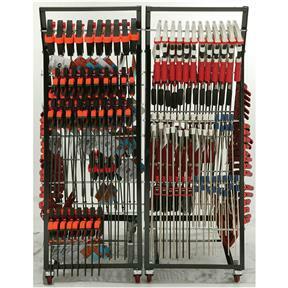 Organize and solve the age old problem of clamp clutter in your shop. 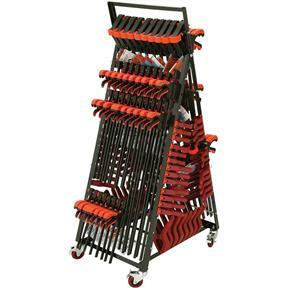 The Clamp Buddy™ can hold over 200 clamps and has the ability to easily store K-bodies, bar clamps and many other types of clamps you may have. 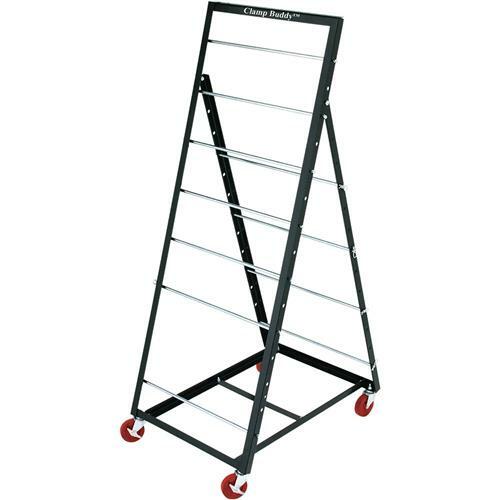 Its heavy-duty locking casters and sturdy steel frame give it the ability to support 500 lbs. 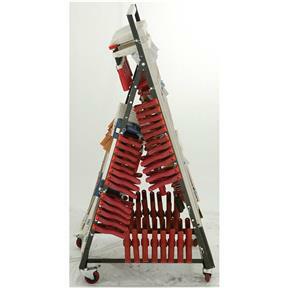 It comes with adjustable cross bars that make it useful for any size clamp. Dimensions: front 19"x51"; back-19"x42"; legs are 25" from front to back. Sturdy stand hold lots of clamps. Even strong enough for K Body clamps. I had looked at this product for months before finally making the purchase. I am so glad i did it has saved me so much time not walking across my shop to pick up two or three clamps and walk back to where am working. I can now just roll all my clamps to the location i am at and reach for what i need. 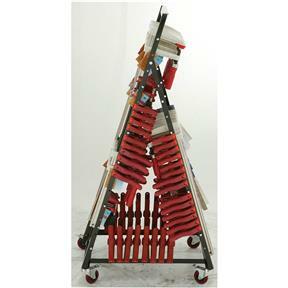 The wheels on it roll so smoothly and i have over 50 clamps on it handles the weight with ease. Does what it says. I had all of my clamps leaned up in a corner. Now with the clamp buddy, I have organization. I am very pleased with this product, The Clamp Buddy. It allows me to place it in a position that is closer to my project no matter where in the shop I am working on it, and need clamps. Good quality at a reasonable cost. Quick shipping. Product does what it's intended for, and for much less of a price than others on the market. 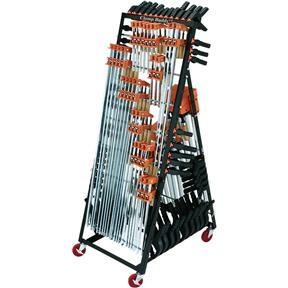 In my opinion it's designed for shops with fewer, and lighter, clamps than I have in my garage workshop. It isn't sturdy enough for heavy pipe clamps or a lot of heavy C clamps and when loaded it is difficult to move on it's small wheels. 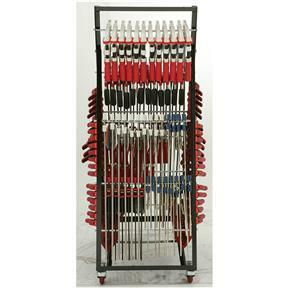 Works great for a small shop to organize clamps and keep them close at hand. Good product. Does what it is supposed to do. Assembly was easy, the parts fit together as they should. Only problem that I have is with the castors, they do not roll and track as they should. They seem to stick and bind at various points thus making it hard to push and guide. I have had mine for over a year. And I like them a lot. I welded two of them on a mobile cart. You can see them on my shop tour video. Check it out. 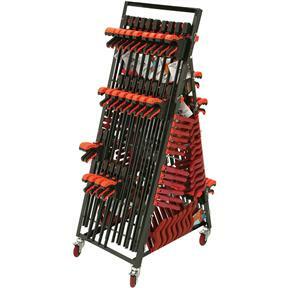 Having the ability to roll all my clamps up to where I'm working is a huge time saver. I don't know how I lived without it! Very happy with this product. Fit my needs quite will. 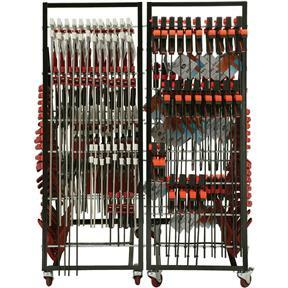 I would suggest this to anyone who has a small work shop like I do. Having moved to a new house, my shop went from being in the basement to being in a one car garage. I had my clamps (spring clamps, Bessey K Body clamps, C Clamps, furniture clamps, you name it) all over the place. I had contemplated building a rack similar to the Clamp Buddy, but given my schedule and the reasonable cost of the Clamp Buddy, I bought it instead. It has exceeded my expectations. 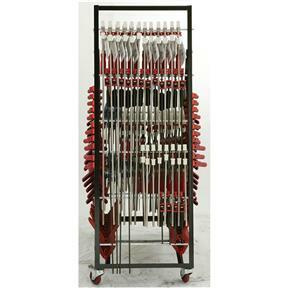 Most of the clamps hang from the rods, the spring clamps clamp to the angle metal frame, and, with the addition of a plywood bottom, the rest of the clamps are stacked in the interior. 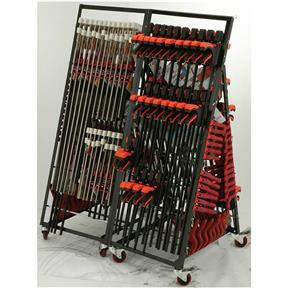 It rolls around very freely, and all 4 casters rotate and lock independently. I probably have 70+ clamps stored on it. Well worth the cost.